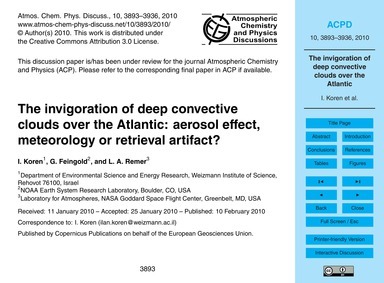 Here we examine the size distribution and the optical properties of small, sparse cumulus clouds and the associated optical properties of what is considered a cloud-free atmosphere within the cloud field. 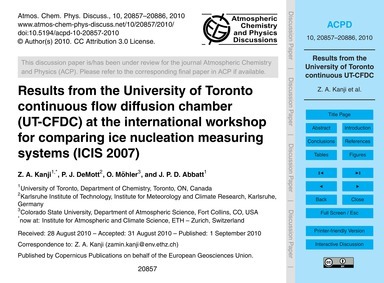 We show that any separation between clouds and cloud free atmosphere will incur errors in the calculated radiative forcing. The nature of small cumulus cloud size distributions suggests that at any resolution, a significant fraction of the clouds are missed, and their optical properties are relegated to the apparent cloud-free optical properties. At the same time, the cloudy portion incorporates significant contribution from non-cloudy pixels. We show that the largest contribution to the total cloud reflectance comes from the smallest clouds and that the spatial resolution changes the apparent energy flux of a broken cloudy scene. When changing the resolution from 30 m to 1 km (Landsat to MODIS) the average cloud-free reflectance at 1.65 μm increases from 0.0095 to 0.0115 (>20%), the cloud reflectance decreases from 0.13 to 0.066 (~50%), and the cloud coverage doubles, resulting in an important impact on climate forcing estimations. 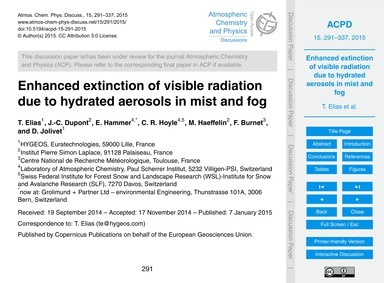 The apparent aerosol forcing is on the order of 0.5 to 1 Wm−2 per cloud field. Cahalan, R. F. and Joseph, J. H.: Fractal Statistics of Cloud Fields, Mon. 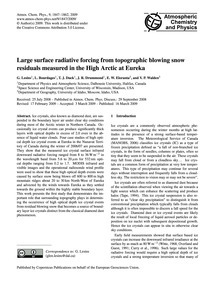 Weather Rev., 117, 261–272, 1989.; Feingold, G., Jiang, H., and Harrington, J. Y.: On smoke suppression of clouds in Amazonia, Geophys. Res. 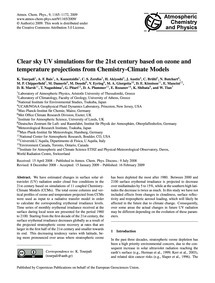 Lett., 32, 2, L02804, doi:10.1029/2004GL021369, 2005.; Charlson, R. J., Ackerman, A. S., Bender, F. A.-M., Anderson, T. L., and Liu, Z.: On the climate forcing consequences of the albedo continuum between cloudy and clear air, Tellus, 59B, 715–727, doi:10.1111/j.1600-0889.2007.00297.x., 2007.; Kaufman, Y. J., Smirnov, A., Holben, B., and Dubovik, O.: Baseline maritime aerosol methodology to derive the optical thickness and scattering propertiesm, Geophys. Res. Lett., 28, 3251–3254, 2001.; Koren, I. and Joseph, J. H.: The histogram of the brightness distribution of clouds in high resolution remotely sensed images, J. Geophys. 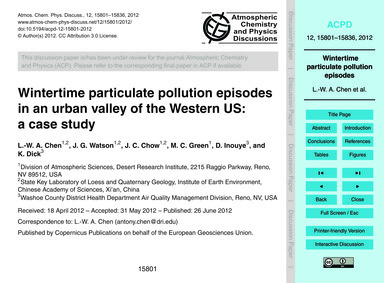 Res., 105(D24), 29 369–29 377, 2000.; Koren, I., Kaufman, Y. J., Remer, L. A., and Martins, J. V.: Measurement of the Effect of Amazon Smoke on Inhibition of Cloud Formation, Science, 303, 1342–1345, 2004.; Koren, I., Remer, L. A., Kaufman, Y. J., Rudich, Y., and Martins, J. V.: On the twilight zone between clouds and aerosols, Geophys. Res. 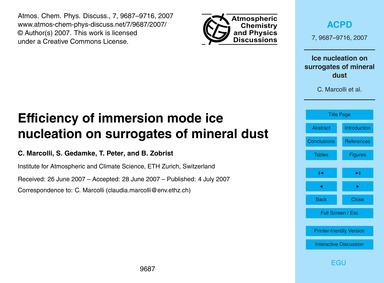 Lett., 34, L08805, doi:10.1029/2007GL029253, 2007.; Krijger, J. M., van Weele, M., Aben, I., and Frey, R.: Technical Note: The effect of sensor resolution on the number of cloud-free observations from space, Atmos. Chem. 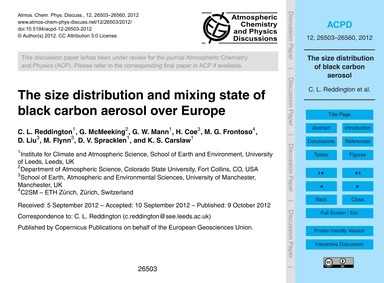 Phys., 7, 2881–2891, 2007.; Martins, J. V., Tanre, D., Remer, L. A., Kaufman, Y. J., Mattoo, S., and Levy, R.: MODIS cloud screening for remote sensing of aerosol over oceans using spatial variability, Geophys. Res. Lett., 29, 8009, doi:10.1029/2001GL01352, 2002.; Nakajima, T. and King, M. D.: Determination of the optical thickness and effective particle radius of clouds from reflected solar radiation measurements. Part I: Theory, J. Atmos. Sci., 47, 1878–1893, 1990.; Neggers, R. A. J., Jonker, H. J. J., and Siebesma, A. P.: Size statistics of cumulus cloud populations in large-eddy simulations, J. Atmos. 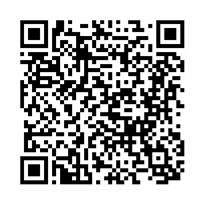 Sci., 60, 1060–1074, 2003.; Newman, M. E. J.: Power laws, Pareto distributions and Zipf's law, Contemp. Phys., 46, 5, 323–351, 2005.; Plank, V. G.: The Size Distribution of Cumulus Clouds in Representative Florida Populations, J. Appl. Meteor., 8, 46–67, 1969.; Remer, L. A., Kaufman, Y. J., Tanre, D., Mattoo, S., Chu, D. A., Martins, J. V., Li, R. R., Ichoku, C., Levy, R. C., Kleidman, R. G., Eck, T. F., Vermote, E., and Holben, B. N.: The MODIS aerosol algorithm, products and validation, J. Atmos. 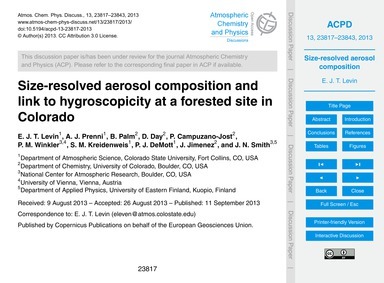 Sci., 62, 947–973, 2005.; Remer, L. A. and Kaufman, Y. J.: Aerosol direct radiative effect at the top of the atmosphere over cloud free ocean derived from four years of MODIS data, Atmos. Chem. 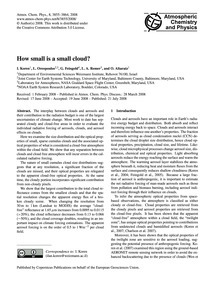 Phys., 6, 237–253, 2006.; Rodts, S. M. A., Duynkerke, P. G., and Jonker, H. J. J.: Size distributions and dynamical properties of shallow cumulus clouds from aircraft observations and satellite data, J. Atmos. Sci., 60(16), 1895–1912, 2003.; Warren, S. G. and Hahn, C. J.: Climatic Atlas of Clouds Over Land and Ocean, http://www.atmos.washington.edu/CloudMap/ (last access: 21 July 2008), 2007.; Tanre, D., Kaufman, Y. J., Herman, M., and Mattoo, S.: Remote sensing of aerosol properties over oceans using the MODIS/EOS spectral radiances, J. Geophys. 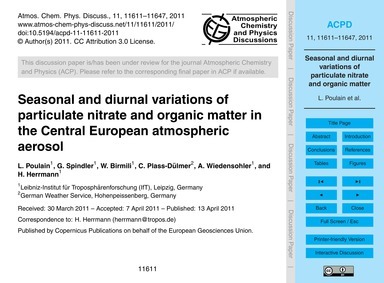 Res.-Atmos., 102, 16 971–16 988, 1997.; Wielicki, B. 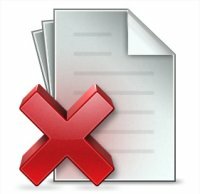 A. and Welch, R. M.: Cumulus Cloud Properties Derived Using Landsat Satellite Data, J. Appl. 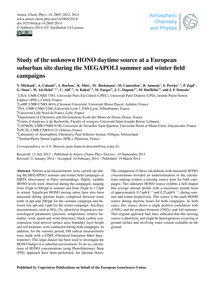 Meteor., 25, 261–276, 1986.; Wen, G., Marshak, A., Cahalan, R. F., Remer, L. A., and Kleidman, R. G.: 3D aerosol-cloud radiative interaction observed in collocated MODIS and ASTER images of cumulus cloud fields, J. Geophys. 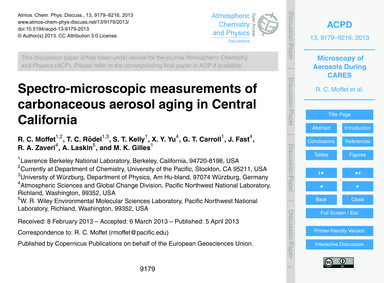 Res., 112, D13204, doi:10.1029/2006JD008267, 2007.; Xue, H. and Feingold, G.: Large-Eddy Simulations of Trade Wind Cumuli: Investigation of Aerosol Indirect Effects, J. Atmos. Sci., 63(6), 1605–1622, doi:10.1175/JAS3706.1, 2006.; Zhao, G. and Di Girolamo, L.: Cloud fraction errors for trade wind cumuli from EOS-Terra instruments, Geophys. Res. Lett.